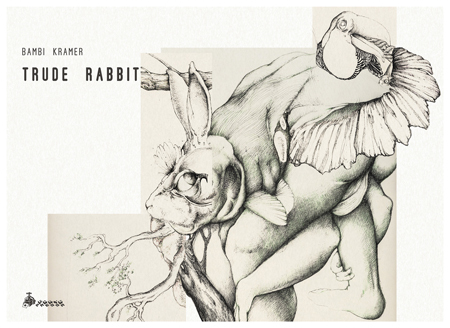 Trude Rabbit is a post-victorian, neo-psychedelic trip of a zoomorphic Alice. Rolling out her fragmented visions Trude recomposes them through the looking glasses of a WhiteRabbit affected by a multiple personality disorder. Along the pages images match one to the other for a total of six meters in length. The book is a cut-up work, that leads an eight metres roll drawn with no stop, like a stream of consciousness, into the tale’s dimension. Through continuous cuts and recombinations an estrangened fairy tale is generated, without any text, opening to multiple narrative lines and possible visualizations.